Bear pose is best done together in a clear space to allow for movement without injury. 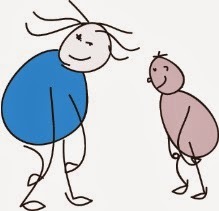 Start bear pose opposite each other, so that your child can copy your movements*. Stand up, with your legs a little apart (about hip width). Bend forward from the waist and grasp hold of the back of your legs with both hands just below your knees. Stomp forwards slowly like a big bear trying to keep your knees straight, but not ‘locked’. Remember to keep hold of your legs with your hands. Growl as bears as you move around the room. After a few steps straighten up, to stretch out your back, then walk on as a grumpy bear making growling sounds! *If you have any back problems do not bend over as far as is suggested below. 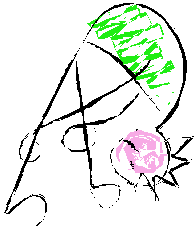 Instead stomp as a bear whilst standing more upright. As your child takes big steps in bear pose and moves under, over and onto the various obstacles in the bear hunt game (see below), they will be learning more about their body. They will become more aware of where it starts and finishes (proprioception) and what they can reach with their arms or legs. It is important for your child to have an up-to-date image of their body in their mind as they will be using this as a reference when they move or try new activities. When walking forwards in bear pose your child has to shift their weight from one leg to the other, challenging & developing their balance. 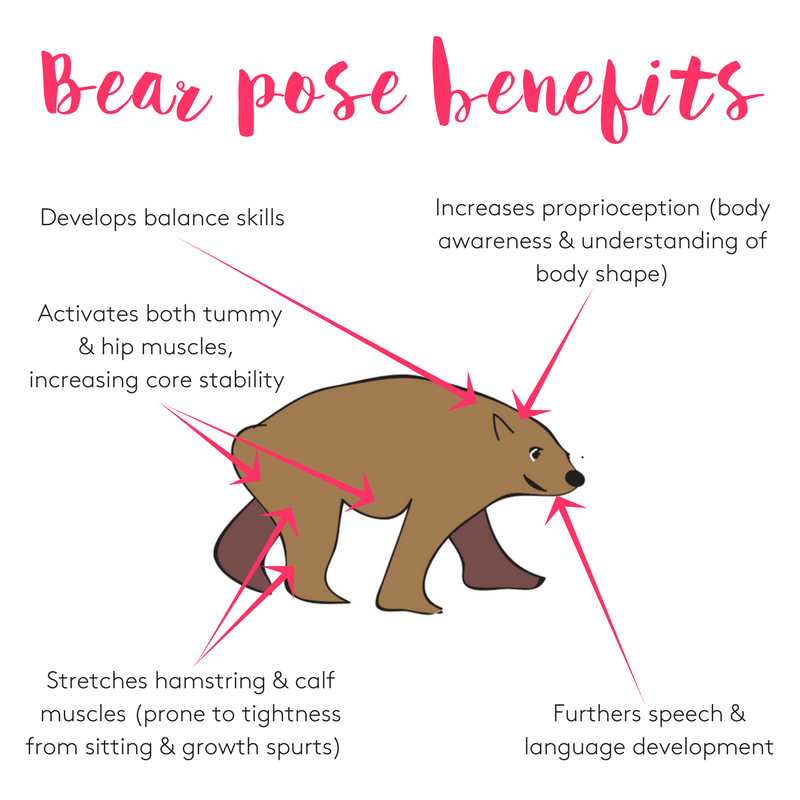 Bear pose will progress your child’s movement planning skills. As your child attempts to move in different ways to do the obstacle course in the bear hunt game, they will have to keep problem solving and planning what to do next. Your child will build on these planning skills when they attempt to do tasks which involve a sequence of movements i.e. washing themselves or dressing. Your child will develop their speech and communication skills by growling in bear pose. 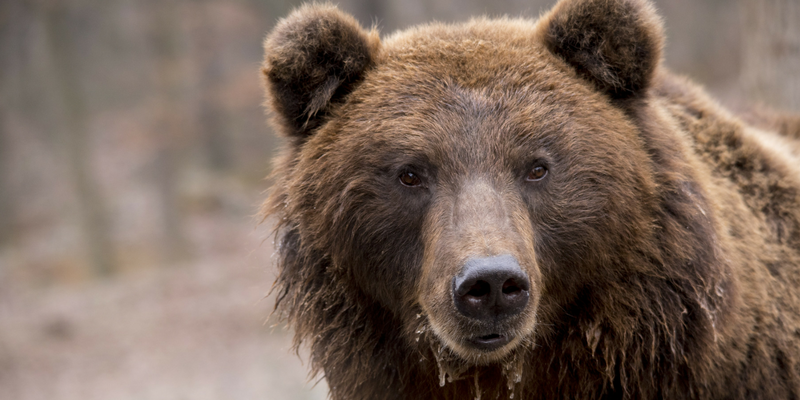 See if you can walk backwards or sideways as a bear. To make the pose even harder, place your hands under your toes and then walk forwards. Please be careful, as this is very hard, but great for the tummy muscles! As your child takes big, slow steps in bear pose they will be balancing on one leg for a short time. Taking big steps is an ideal way for your child to start to learn about standing on one leg. Younger children might find it difficult to hold the back of their legs. Instead, encourage them to walk as a bear by bending forwards and putting their hands on their thighs, just above the knees. 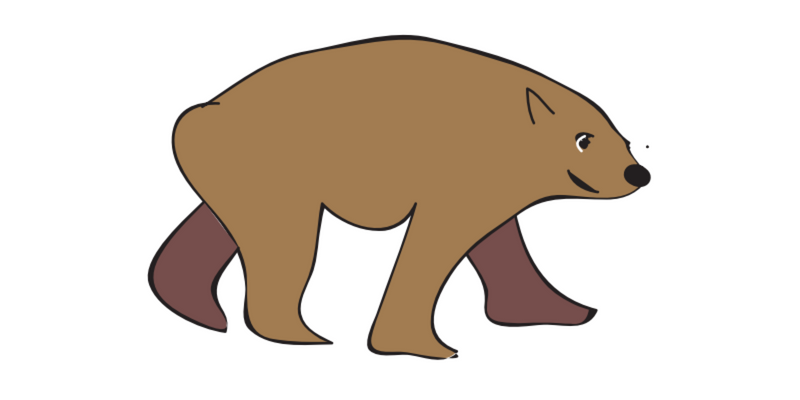 Encourage younger children to growl as bears to develop their speech sounds. You start in the forest, with the leaves hanging down low. Play a peek-a-boo game with your child using pieces of green fabric or green streamers or even a leafy twig. Then you walk with the bears through the wood to find the perfect picnic spot. Do Bear pose with your child round the room or garden. Eventually you find a lovely shady spot for your picnic. Place a sheet or piece of fabric over two chairs to make your very own bear cave and wriggle underneath it together. At last you settle down to have your forest picnic. Maybe find a toy tea set or similar, roll onto your tummies and imagine you are having a picnic! Remember it is still good for your toddler or child to lie on their tummy every so often as they will be strengthening their shoulder and back muscles. The Bears Go over the Mountain! Make a little obstacle course for your child or toddler round a room or the garden. Carefully clear away any items which your child could hurt themselves on if they fall. Ideally encourage your child to do the course in bare feet. This way they will get clear sensory information from the soles of their feet. Try to do the course with your child as much as possible. If your toddler is younger, keep your obstacle course simple so they do not get discouraged. As they gain confidence you can add more challenges. Bath mats are ideal, as they are usually non-slip and often are interesting textures. You may wish to put them over the cushions. If your toddler has bare feet they will have the extra sensory experience of feeling the texture of the mat through their feet. Strips of interesting material. Fold these into a narrow path for your toddler to walk down (make sure you put them on a non-slip surface). You can get some amazing fabric offcuts from some fabric shops. Pieces of lighter fabric or sheets. Drape these over several chairs to make a little tunnel for your toddler to crawl through. Cushions. Scatter these round the room, making sure they are on a non-slip surface. Your toddler will love the challenge of stepping on and off them. To see what he can see! And all that he can see, and all that he can see, is ..